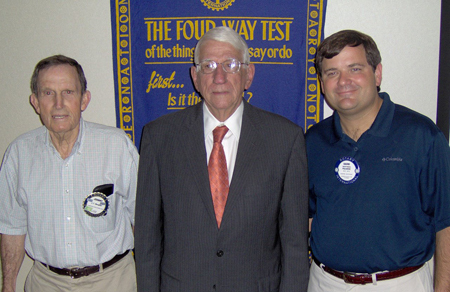 Economist Dr. Eugene Stanaland addressed the Auburn Rotary Club on the recent Economic upheaval in the United States and abroad. He cited examples from the crisis in the sub-prime lending market over the past several years. Pictured with him is program host Johnny Meagher and club president David Reaves.